The growth of Norfolk’s Auto Row Historic District is closely tied to the rise of the city’s automobile industry. Although the area was initially founded as a lower and middle class neighborhood, most the residential buildings were demolished in the early 20th century to make way for Norfolk’s growing commerce. 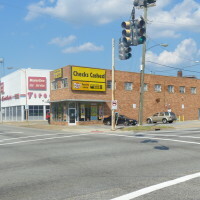 Conveniently located between several of Norfolk’s main thoroughfares (Granby Street, Monticello Avenue, and Brambleton Avenue), most of the new buildings were constructed as dealerships, repair shops, parts, suppliers, and even small light industrial manufacturers all feeding one common source: the car. 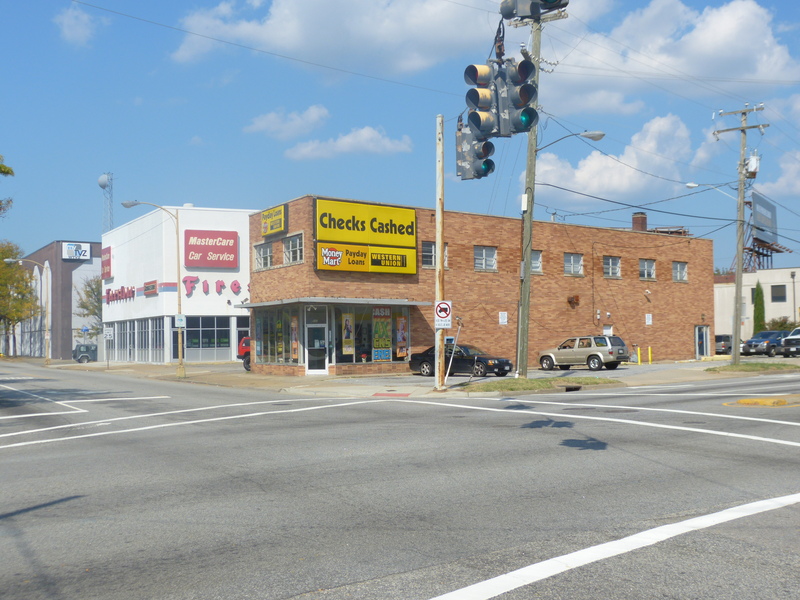 As an example of how important the automobile was to the growth of the district, every parcel in the 700 block of Granby at one time or another contained a business related to the auto industry. The unprecedented commercial growth in this district turned Granby Street into a major vein of the city, with parcels commanding so-called “fancy” prices. Most of the buildings in the district are industrial style, one or two stories in height. Popular styles include Moderne, Stripped Classical, International, Art Deco, and variations on purpose-built Commercial Buildings. Many buildings possess large windows meant to maximize auto display. One of the district’s important resources is the Texaco Building, constructed in 1918. A bastion of Norfolk’s auto industry, the building, with its signature star stone detailing, began as a service station and eventually became the company’s regional headquarters. The Golden Triangle and the Harrison Opera House serve as important examples of district expansion outside of the auto industry. At the time of its construction in 1961, the Golden Triangle was the first major hotel constructed in 50 years, and the only major hotel located outside of the traditional downtown area. 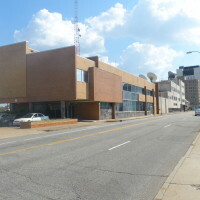 The Harrison Opera House, an International/Moderne style limestone building constructed in 1944, served as Norfolk’s primary entertainment venue until Chrysler Hall and Scope were erected in the 1970s. The building’s east elevation is historic. 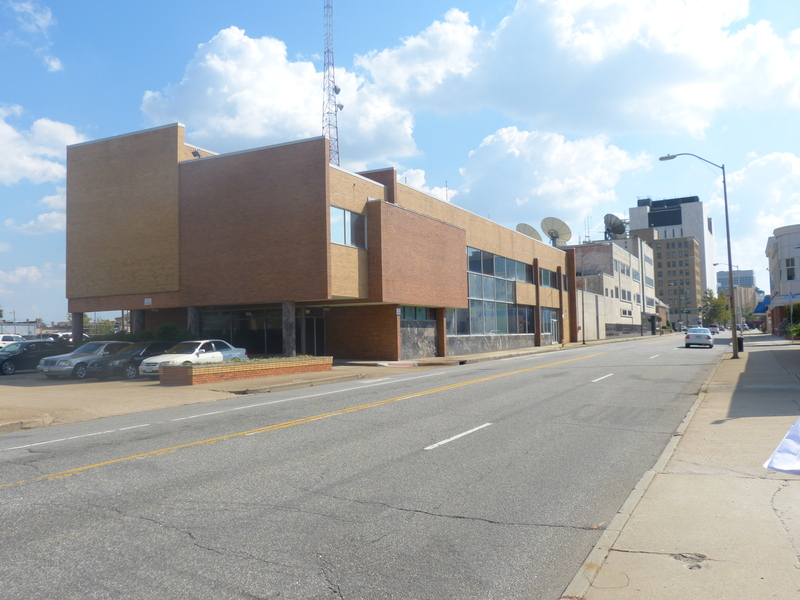 The Auto Row Historic District was listed on the National Register of Historic Places in August of 2014.